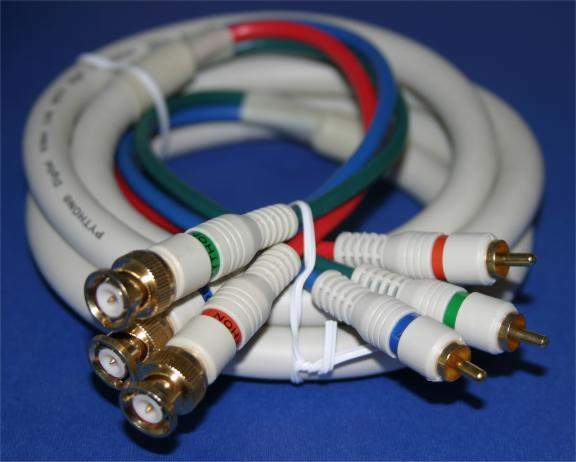 Professional Grade HDTV Breakout Cables at Reasonable Prices. Our Breakout cables are made off shore of the finest materials. Can be used in 3 Wire Applications. Perfect for HDTV, Home Theater PCs, Video Scalers, Video Dubblers, Projection Systems. Our cables are of the finest Quality made. And we stand behind them with our PCCABLES.COM money back Guarantee. Sure you could spend 100's More on hand made cables. But they would not be as durable as these fully molded and hand assembled units. Each Cable is triple Shielded with Foil Braid, and the Individually Braid around each signal. Each cable is signal tested for quality. Providing the sharpest picture and professional quality images.